CARACAS- Venezuela and Cuba have agreed to implement 56 welfare projects, Venezuela’s Vice President Rafael Ramirez said Thursday. 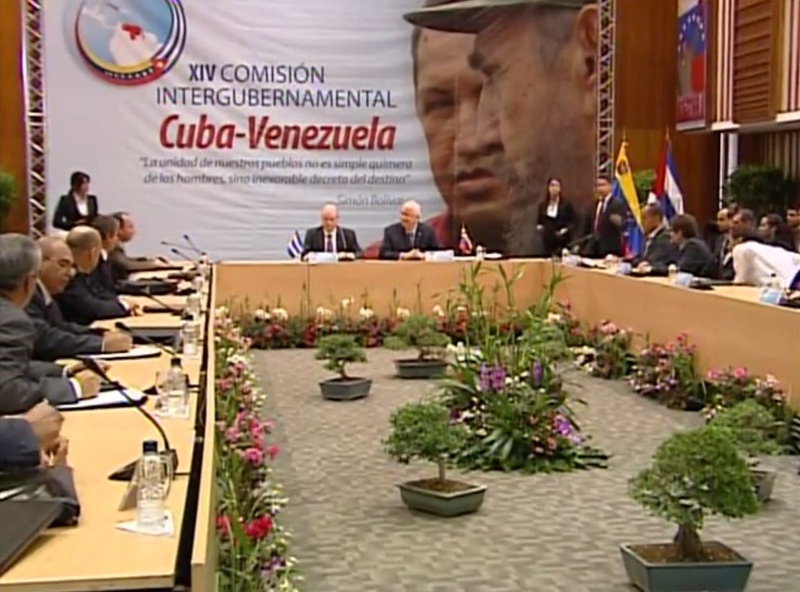 The consensus was reached during a two-day bilateral high-level committee meeting in Caracas. “With the cooperation of Cuba, we have focused on our people, which is the most important thing,” said Ramirez, who is also president of state-owned oil company Petroleum of Venezuela (PDVSA). The projects cover areas such as infrastructure, education, culture, healthcare, transportation and agriculture with 25 projects to be developed in healthcare alone, Ramirez said. Yesterday closed in Caracas, the Fourteenth Intergovernmental Commission between Venezuela and Cuba, where 56 projects were agreed in the areas of health, education, culture and agriculture, among others. “We have finalized 56 projects, which will have the participation of 14 Venezuelan ministries, 15 Cuban ministries and their executive bodies,” said Rafael Ramírez, Minister of Petroleum and Mining. In the agricultural area of the project technical assistance and strengthening family agriculture programs and nurseries, 140 urbanism of the Great Housing Mission Venezuela (GMVV) was signed. To strengthen Inside Cultural Mission Heart technical and methodological advice of the different social actors involved in the strategies of socio-cultural development of the nation agreed. Also the construction of 8 cargo ships to transport cargo in the form of regional boats materialized, to help with the logistics of the GMVV and food sovereignty. In the education sector strengthening education policy which will enable improvement in the quality of education Venezuelan agreed. Also in the area of ​​health preventive and corrective maintenance of medical equipment 602 thousand in 28 hospitals in the country, purchase of medicines and prevention of cervical cancer was signed. The meeting was attended by Venezuelan ministers Héctor Rodríguez, Francisco Armada, Fidel Barbarito and the commanding general of the Bolivarian Armada, Gilberto Pinto White. Cuba was attended by Rodrigo Malmierca, Minister of Foreign Trade and Foreign Investment, Ambassador Rogelio Polanco, plus representatives of the Cabinet.